If you know you wish to visit Myrtle Beach, but just aren't sure what there is to do down there, checking out our pre-defined vacation packages might be the best option for you. You will be able to get hotel accommodations along with activities and attractions, all without having to stress about planning and purchasing tickets. All tickets can be mailed to you before your trip even begins, so shows or activities selling out is no concern at all! See one of the most acclaimed shows in Myrtle Beach when you attend Dolly Parton's Dixie Stampede. Imagine, horses galloping, ostriches racing, and a delicious four course meal that will have you jumping for joy! And this is only a taste of what Dixie Stampede has to offer. This vacation package includes: three nights of lodging, the Dixie Stampede Dinner and Show, as well as another music and variety show of your choice. You are free to choose any of our 16 Myrtle Beach hotels that are available during your stay. The dinner and variety shows available with this package are: "A Tribute to Dean Martin's Variety Show," "Good Vibrations!" at the Carolina Opry, "Legends in Concert," and a show at the Carolina Opry. Choosing one of these four shows could be the most difficult part of your entire vacation! Most people choose to enjoy the ocean while in Myrtle Beach, but by going to Ripley's Aquarium you will be able to see exactly what is going on underneath the clear blue waves. This three night package includes: three nights of lodging, a trip to Ripley's Aquarium, one dining experience, and an evening at the music or variety show of your choice. Again, you will be able to choose from over a dozen different hotels available during your stay and choose the one that best fits your needs. 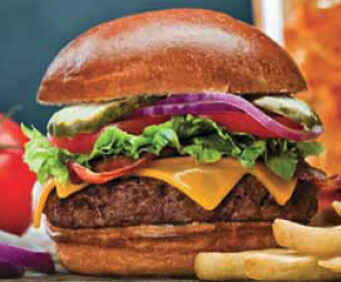 Your dining experience offers a choice of dinner either at the Hard Rock Cafe or Planet Hollywood. Again, you will have to choose between "A Tribute to Dean Martin's Variety Show," "Good Vibrations!" at the Carolina Opry, "Legends in Concert," and a show at the Carolina Opry for your evening of entertainment. If you really want to experience all of the best parts of Myrtle Beach, then this 5 night vacation package is the one for you! With this package you are guaranteed: 5 nights of hotel accommodations, a trip to Ripley's Aquarium, one dining experience, a dinner show, and a musical or variety show of your choice. You can choose either the Hard Rock Cafe or Planet Hollywood for your dining experience and you could opt to take a trip back to Medieval Times for your dinner show. Again, choosing your evening show could be the most difficult part of your vacation with "A Tribute to Dean Martin's Variety Show," "Good Vibrations!" at the Carolina Opry, "Legends in Concert," and a show at the Carolina Opry all on the menu. If you are planning a weekend getaway to Myrtle Beach, then this 2 night vacation package just might trip your trigger. Included in this package is two nights of lodging and a trip to the Medieval Times dinner show. At this show you will step back in time to a place where knights jousted, ladies preened, and the food was well, a little different. Have no fear, however, the show and dinner menu have both been hits for decades here in Myrtle Beach. A great show for both kids and adults, you can't go wrong when attending Medieval Times Dinner and Show. These are all of the pre-defined vacation packages that we offer in Myrtle Beach. Keep in mind that each of these vacation packages can be customized to fit exactly what you wish to include in your Myrtle Beach vacation. These packages provide a great guideline for the dozens of activities available in Myrtle Beach.